In Part One of this series, we read about a white woman who did not allow her child the help he needed for his disability because it would stop him from attending a charter school. This child was two grade levels behind in school because of his white, native-English speaking parent’s fear that English language learners decrease student performance. This post looks at history and tensions surrounding ELL programs in the schools. English Language Learners (ELLs) encompass those students who require additional support in English Language Arts (ELA) because English is not their primary language. Some ELLs are “newcomers”, or have recently entered the United States; others have resided in the U.S. for longer than 12 months. Some students whose parents identify a language other than English test proficient and fluent in English and are therefore designated as Fluent English Proficient, FEP1. When a student is redesignated as FEP by a school, they cannot receive the same English Language Learner support that their school may have provided; they receive academic instruction in all content areas that their English “native speaking” peers receive. English Language Learners often bring a complexity of culture to white classrooms, and have the advantageous opportunity to exit high school as bilingual speakers, invaluable to many different forms of work in the changing face of California, America, and the world. Bilingualism affords speakers an increased ability to understand math concepts, use logic, employ greater self control, and think flexibly2. Of course, bilingualism and fluency in two languages requires that students are proficient in reading, writing, and speaking in both languages. To guide students toward this goal, teachers must gauge their ELL’s proficiency in their primary language, then “build on what students know in their primary language as the strongest instructional bridge to English language development”3. This connective strategy is known as Primary Language Support and can be accomplished through a combination of tactics, such as Preview-Review in which a teacher provides the ELL with a review of the lesson in their primary language before presenting it in English. Preview-Review improves the student’s English while also enabling them to access the curriculum and feel more comfortable in the classroom4. This strategy of first language support was considered so effective that in 1968 the Bilingual Education Act (BEA), Title VII of the Elementary and Secondary Education Act (1965) was passed but amended over the course of nearly three decades in order to provide adequate aid, funding, and primary language support in the classroom for ELLs5. 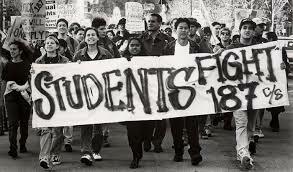 Two critical cases were reviewed by the Supreme court in the seventies that sought to assure fair and equitable education for ELL students: In the case of Lau v. Nichols in 1974, the Supreme Court ruled that, as promised by Title VI of the Civil Rights Act of 1964, school districts cannot discriminate against students on the basis of their national origin, and therefore must provide ELL students with the ability to access language support and the general curriculum. These educational requirements were more specifically described in the Equal Education Opportunities Act (EEOA) on 1974, which prohibits racial discrimination against students and staff, prohibits racial segregation of students, and requires school districts to take appropriate action to overcome barriers to ELLs equal participation in class. Along a similar vein that same year, 1974, the Chacón-Moscone Bilingual-Bicultural Education Act “established transitional bilingual education programs to meet the needs of limited English proficient (LEP) students. Program requirements follow federal guidelines for identification, program placement and reclassification of students as fluent English proficient (FEP).”11 Then, in 1981 in the case of Castenada vs. Pickard, the Supreme Court identified more specific criteria for judging if a school district was in fact abiding to the EEOA: 1) The bilingual education program must be “based on sound educational theory”; 2) The program must be “implemented effectively with resources for personnel, instructional materials, and space”; 3) After a trial period, the program must be proven effective in overcoming language barriers/handicaps.11 12 However, despite these great gains for English Language Learners—both legally and socially—there were still many who rallied for the same sort of exclusionary education championed by 1872’s English-only education bill11. In 1975, Texas passed a law withholding funding and therefore free education to undocumented immigrant children; fortunately, in the case of of Plyer vs. Doe in 1982, that statute was struck down by the Supreme Court13. Nevertheless, heavy anti-immigrant sentiments ran rampant in the U.S., and a longstanding discriminatory statute of this nature had shown the world that it was possible to legalize such brash exclusion. In Part Three of this series, “Current Struggles for English Language Learners, we’ll look at ELL students today, using the perspective of a Sonoma county student who shares his experiences in schools. 2. 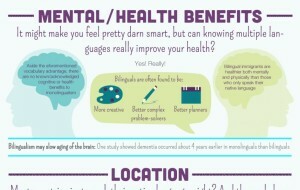 ”The Benefits of Being Bilingual.” Head Start. Education Development Center Inc., n.d. Web. 1 June 2014. 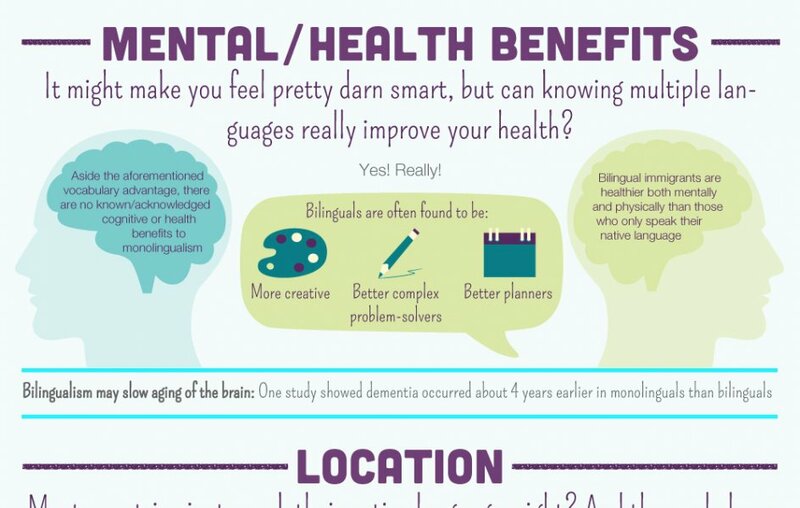 <http://eclkc.ohs.acf.hhs.gov/hslc/tta-system/cultural-linguistic/docs/benefits-of-being-bilingual.pdf Find a website by URL or keyword…>. 4. DelliCarpini, et al., Margo. “Success with ELLs: Working for and with Latino/Latina Immigrant Newcomers in the English Language Arts Classroom.” The English Journal 99.2 (2009): 95-97. Print. 5. Stewner-Manzanares, Gloria. “Bilingual Education Act: Twenty Years Later.” National Clearninghouse for Bilingual Education N/A (1988): N/A. Print. 13.”Legal History Of Bilingual Education.” History of Bilingual Education. N.p., n.d. Web. 28 June 2014. <http://moramodules.com/Pages/HistoryBE.